This project is a 40 meter to 6 meter CW "no tune" transverter using ten 2N2222 transistors and one 2N2907. 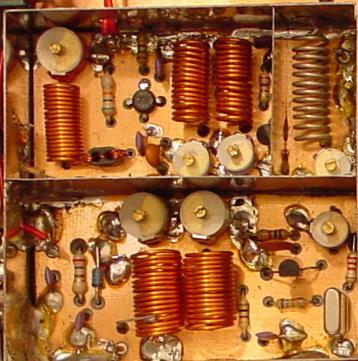 The transverter requires 2 watts of drive from a 40 meter cw transceiver and outputs 2 watts on 6 meters. Several years ago, JH1FCZ gave us the theme as follows. Make transceiver with only three transistor. How many QSO can you make with it? This is one of my answer for this theme.. .. This rig is made by a surface mount construction. All transistor and resistor is made by surface mount chips. So this is very small. Circuit of it is similar as it of 50MHz 2W TRX. So I will show you only the circuit. After I made CW,SSB and AM transceiver, I decided to make FM transceiver. But I hate 144MHz and 430MHz. Therefore I decided to make it by 50MHz. In Japan, we cannot hear the AM modulated signal except 50MHz in these days. And some of the operator of 50MHz AM use hand made rigs. 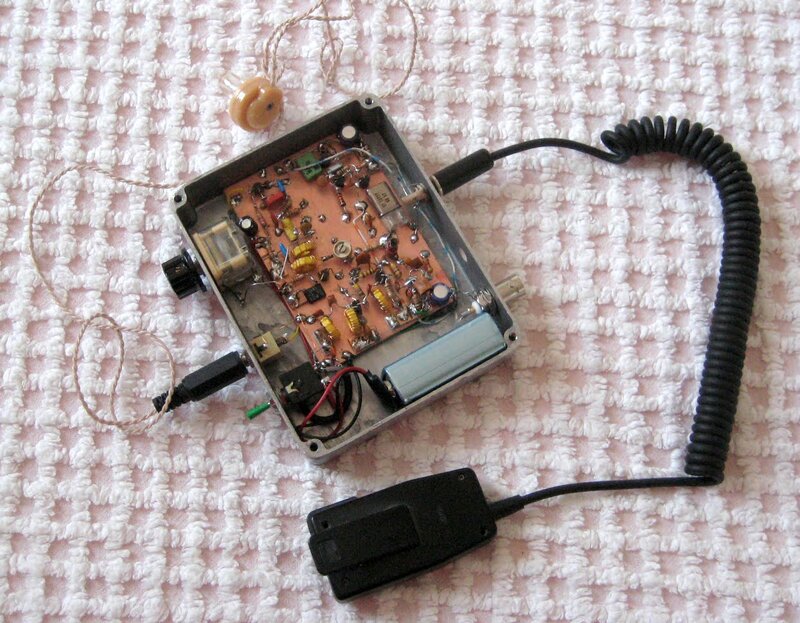 I may introduce you about my simple and useful transceiver in this page. This rig was built for use both at home and while sitting in my car on top of a local hill. To operate from the car, I set up two elements of an HB9CV antenna. I wanted to use a pair of handy transceiver to use holiday. AM is good mode to use such a purpose because I am an OM. Therefore mode was decided as AM. I decided to make it with a single conversion. I recognized again that CW can make easy QSO than SSB by QRP. I made CW transceiver with only 2 transistors. Receiver is direct conversion, with RF and AF amplifier. Transmitter is two stages. I have made very simple 50Mhz DSB transceiver with 5 transistors. Output is only 30mW. This transceiver is very unique. This transceiver uses the phase sift network. On receive side the signal from the antenna, passed through a Low Pass Filter and TX / RX switch, is amplified by the dual-gate LNA (Q1) BF998. I began working on a transverter for several reasons. Over the years I have enjoyed operating during 6 meter openings, but I presently don't have an HF rig that includes the 6 meter band. This transverter was built in 1994, a discription in three parts (german language) for DOWNLOAD as PDF-files. New: Translation in English by Anwar, DL5DBM on his Page. 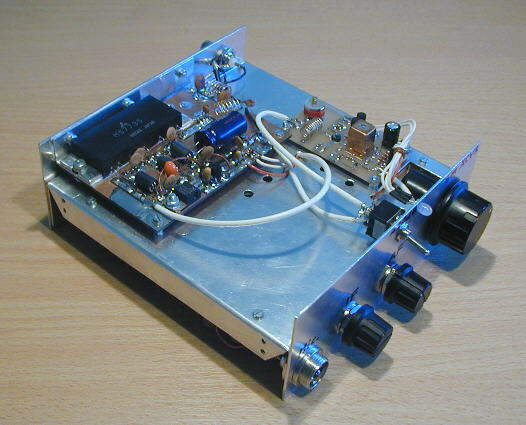 The Sixbox, an ultra-simple 6m QRP AM transceiver which I'd had in my mind for some time. The schematic is at the bottom of the page. This is a derivative of the Fredbox transceiver built many years ago. The concept of the 6m SSB & CW transceiver is similar to the 80m SSB & CW transceiver, described on this web site with some minor changes in AGC and audio PA. An additional RF preamplifier, which is not needed on 80m, has been added to get enough receiving sensitivity. This transverter is based on my 6M receive converter. A 32MHz TTL oscillator is used as the local oscillator for both transmitting and receiving. RX/TX switching is handled by three SPDT relays. It recently became evident, with the tremendous meteor scatter propagation on 50Mhz, how many people were interested in 6 metres but could not join because they had only FM transcievers or no 6m equipment at all. Homebrew 6m AM Transceiver. Freq. range 50.550 - 50.750 MHz. This transceiver is under modification for a long time. 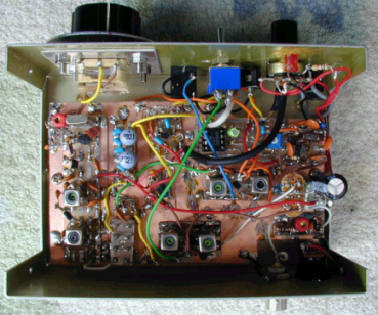 Homebrew 6m DSB Transceiver. Freq. range 50.150 - 50.300 MHz. This transceiver is to be re-designed in future. 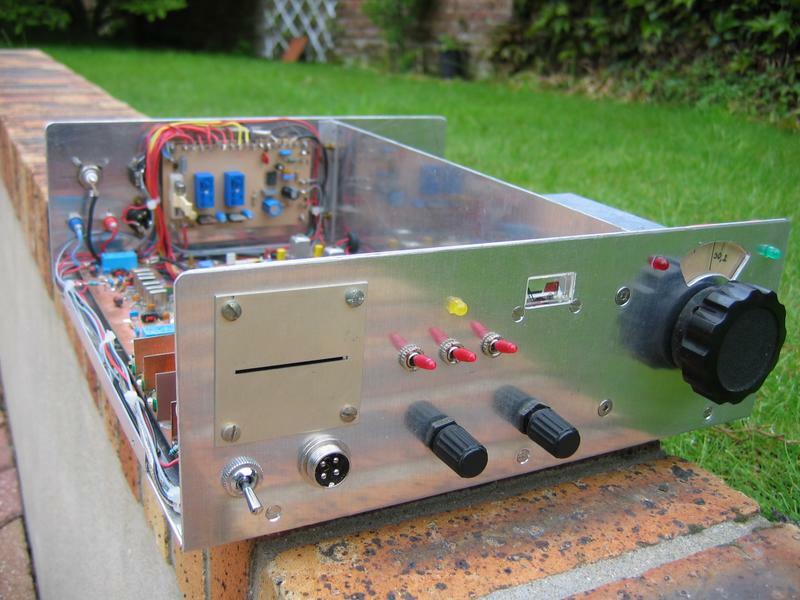 Homebrew 6m SSB/CW Transceiver. Freq. range 50.000 - 50.270 MHz. Le transceiver 50 Mhz décrit dans ces lignes est de conception modulaire, toutes les platines sont réunies entre-elles par des morceaux de cable coaxial miniature 50 ohms.